Innovative ways to Market your Business offline | Business Forward! It would seem to be a counter-trend when one suggests to market your business in places other than on the internet. We all know and understand the appeal of the World Wide Web, and with one ad on Google or Facebook you have the potential to get your product in front of an enormous audience. Here’s the thing. So does everybody else. It has become harder and harder, in addition to becoming more expensive, to advertise your product or service in the sea of humanity that is the internet. You are drowning in social media and can’t seem to figure out why Google Adwords isn’t working for you. Depending upon how you target your market, the internet can be referred to as a “shotgun” approach, where you will tend to put your product out to the masses in hopes of obtaining a one or two percent hit rate. However, you don’t have to put all your eggs in the internet basket. The following are tried and true marketing methods that are considered offline. Networking: This is particularly effective if you have a product or service that is represented in your local marketplace. One method I have employed that gets the ball rolling is joining your local Chamber of Commerce. You can talk with other chamber members about your company, opening the door to partnerships or other opportunities. In turn, a fellow member might recommend your business to its employees and customers. Your chamber might link to your business from their website, boosting recognition, as well as search engine optimization. If nothing else, you will realize that you have more in common with your fellow business people than you had imagined. Trade Shows: Attending trade shows as an exhibitor has often been given a bad rap. Some say it exposes your business to the threat of competition. I would disagree. If you have a great product or service, a trade show that is targeted to your potential customer is an awesome way to go. In today’s impersonal internet environment, trade shows are a breath of fresh air, where you can actually shake hands and answer questions in person. The other side of a trade show is going as an attendee, to see what is going on in your particular industry. Again, a great place to make contacts and potential partners. You not only get to see what the competition is doing, but you have the opportunity to establish relationships with suppliers, distributors, and others who can help you grow. Direct Mail: I love direct mail and have used it successfully many times. Create an immaculate postcard or any mailing piece, and distribute it to likely clients. We use to have an outdoor landscape lighting business, and we would obtain addresses to private and gated neighborhoods via public register and send postcards to them. Our hit rate was outstanding because this market segment is not used to being solicited too. Compare this to your online cousin, the email. Consumers open somewhere between 80% and 90% of direct mail. For those of you who track your email marketing campaign metrics, an 80% open rate is huge. On average, consumers only open 20-30% of emails. 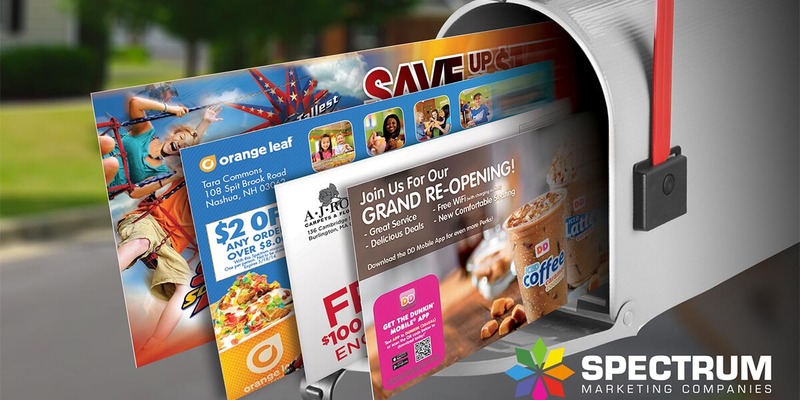 Effective direct mail incorporates discounts or service coupons, and can be a welcome card to new neighbors. Give these traditional methods a shot if they are applicable to your business, and watch your offline marketing response grow.